Please click Pictures to see this breathtaking glove in super size! Made in expensive imported Australian diamante jewels! 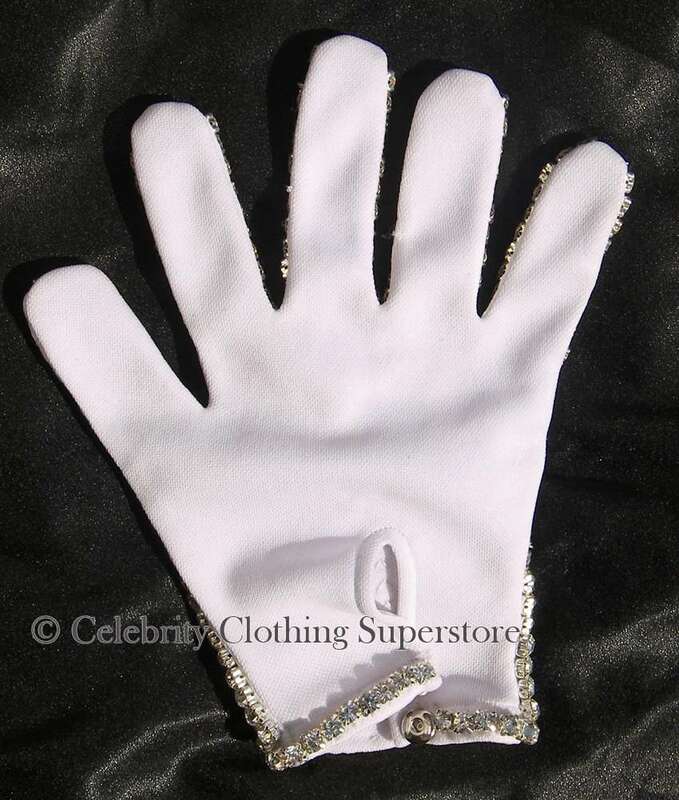 Through popular requests from Tribute Artists & Impersonators we have now made the full diamante glove with no sequins on the palm for a firmer grip on the microphone, Produced by Sophia Mo with the professional Impersonator in mind. 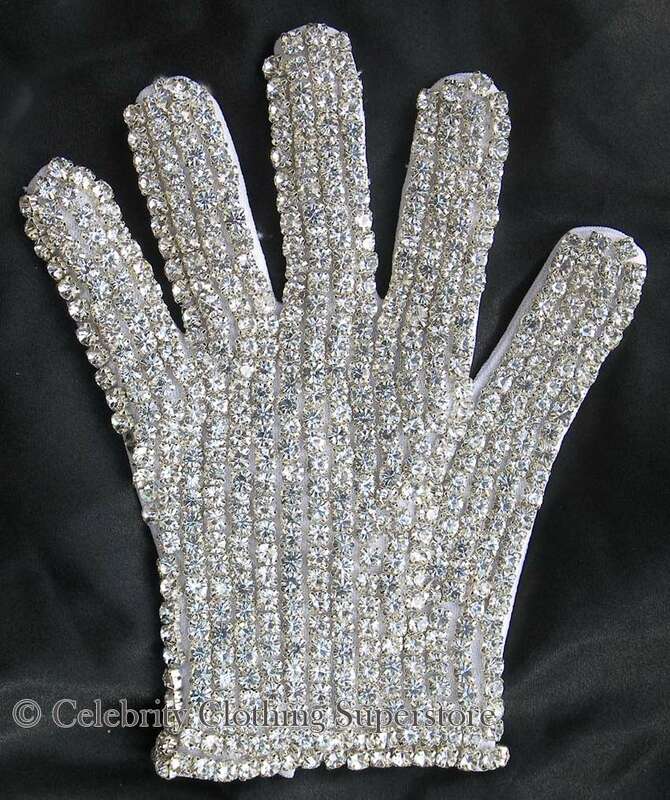 This glove is the ultimate must have for for all fans and impersonators around the world! 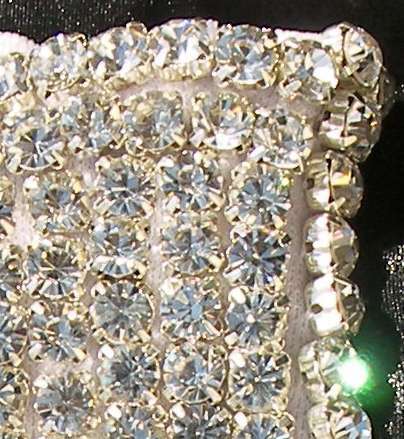 Production of this glove includes multiple days of patience with over 1000 diamante's hand sewn onto this breath-taking master piece. I got my glove today. It is beautiful beyond words. Oh my God you guys must have stole this one from MJ himself. Your best yet for sure, although the first one you sent me must have been its twin because that one too was amazing! The shape was perfect. The maker of this glove needs a fireworks party for their outstanding work. You can tell they put their focus, attention, and heart into making it perfect.